The old birds were moved to the strawberry bed. Their new coop, an upside down rubbermaid tote with a hole cut in it. 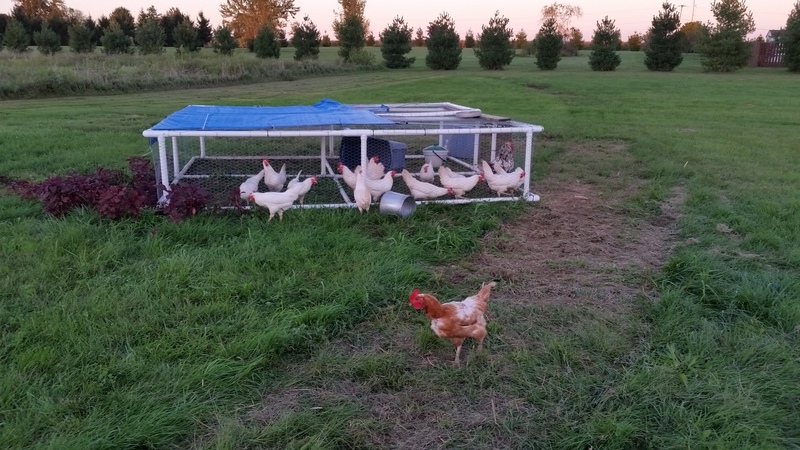 The new girls were given access to the chicken tractor. Our Red Stars laid two eggs today and looked at me with reproach when I collected them. I guess they don’t like their new digs. 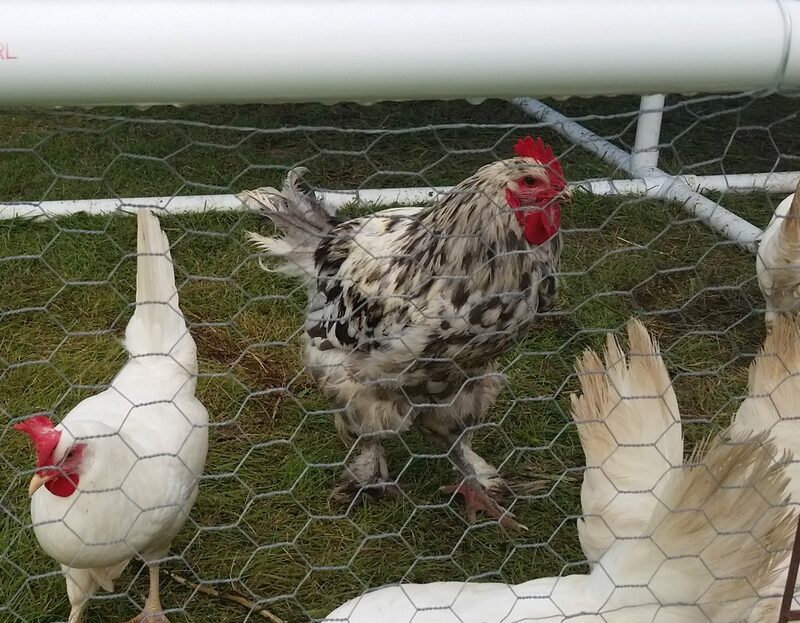 This entry was posted in Chickens!, Pecky Greenleg, Poetry, Writing. Bookmark the permalink. Wow! Did you write that? What a great poem! Thank you! Yes, I wrote it. 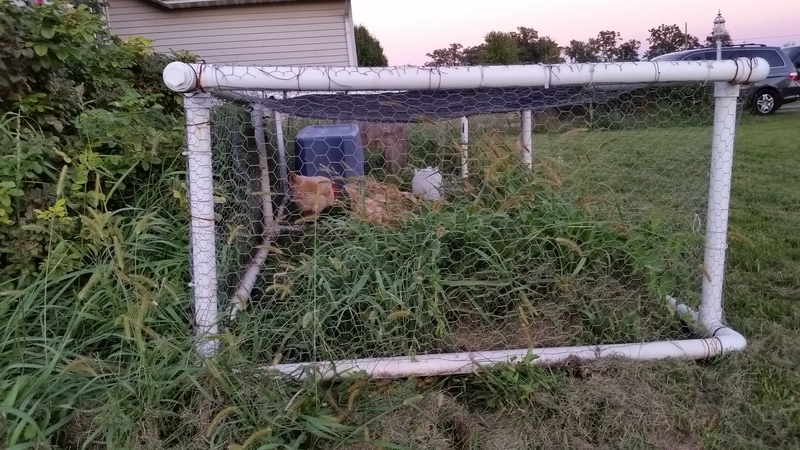 I have a lot of garden and poultry poetry on the blog. The homestead is a great inspiration!